Birth certificates were issued in the State of Georgia beginning in 1919. According to the above site, there are some birth records dated before 1919 at the state level. A search of those is $25. See link above for details. Go to FAQ section. There are no death certficates available from the state of Georgia before 1919. 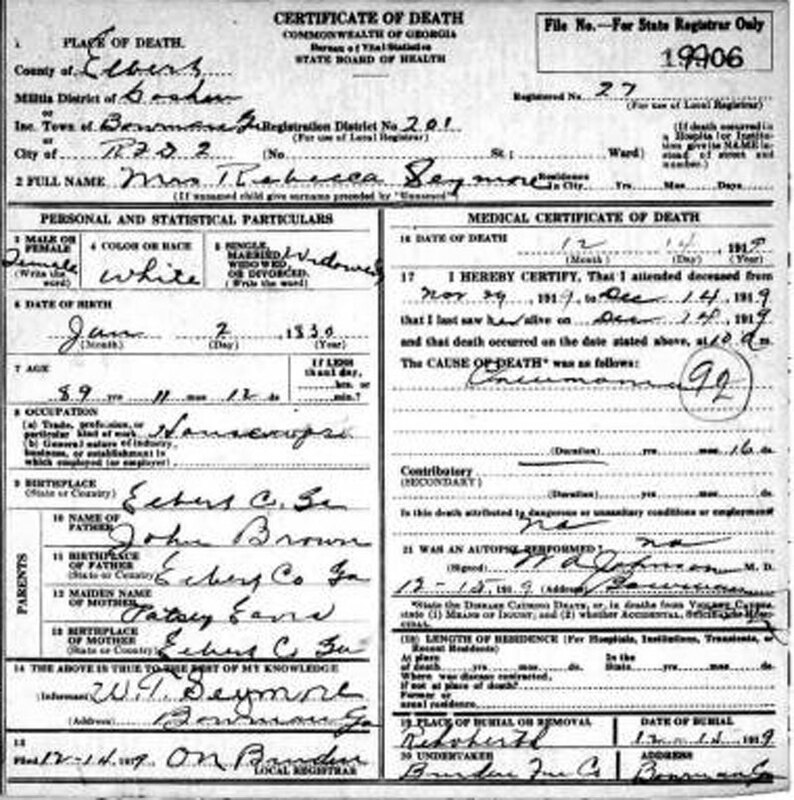 See this site: Georgia Death Records See FAQ also. Earlier Death Certificates may be available at the county level.